These Baked Spicy Kale Chips are a great alternative to traditional potato chips. Once you eat one, you won’t be able to stop. You can season the kale any way you want or not at all. The possibilities of flavor combinations are endless. If you like the salt and vinegar flavored chips, drizzle a little sherry vinegar over the kale before baking. Wash thoroughly and dry the kale using a salad spinner. 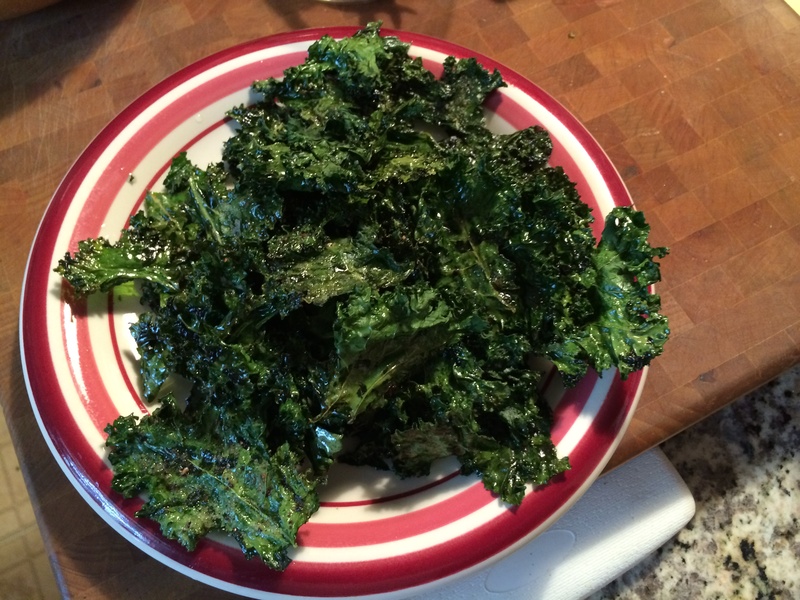 Drizzle the kale with olive oil, kosher salt, and cayenne pepper. Bake for 10 minutes, or until the edges turn brown and the kale become crisp. Transfer the Baked Spicy Kale Chips to a large serving bowl. 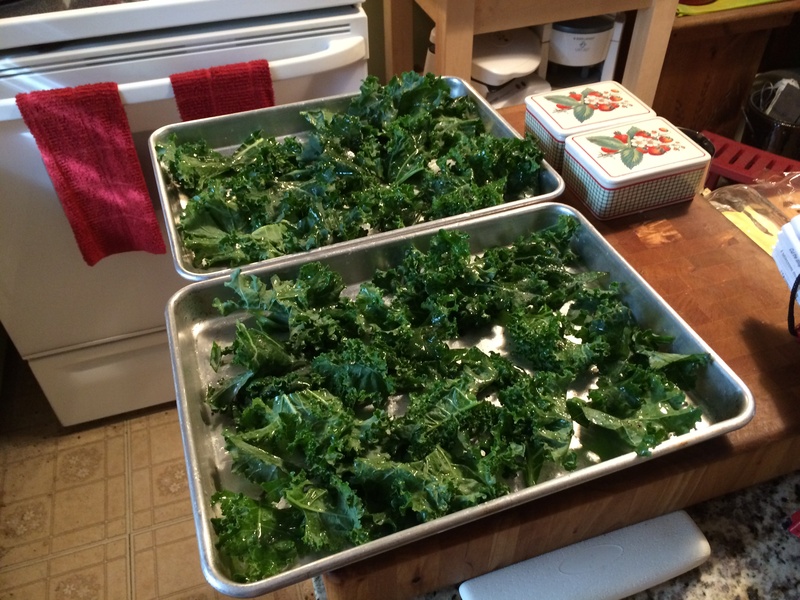 While the kale chips are still hot, sprinkle lightly with Kosher salt.